The event, just the latest example of the ongoing international bridge-building on the radical right, is to take place at Antwerp University’s Flanders campus. 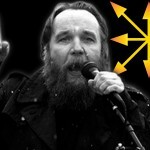 Alexandr Gelyevich Dugin is a Russian political scientist and fascist who supports a Eurasian empire made up of Russia and former Soviet republics such as the Ukraine and set against “North Atlantic interests.” Dugin has close ties to the Kremlin and serves as an adviser to Sergei Naryshkin, speaker of the Duma, the Russian parliament. He has set up nationalist political parties including the National Bolshevik Party, National Bolshevik Front and the Eurasia Party. During this year’s conflict in the Ukraine and Crimea, Dugin was in regular contact with pro-Russian separatist insurgents. In 2014, he was removed from his teaching position at Moscow State University, reportedly for his extremist views. Dugin is regular speaker at far-right gatherings across Europe. Manuel Ochsenreiter is editor-in-chief of the German monthly news magazine ZUERST! (meaning “first”), which is “committed to the life and survival interests of the German people and the precious heritage of our European culture.” The magazine describes other media as controlled by “foreign interests.” According to The Interpreter, an English-language website specializing in Russian news, ZUERST! burnishes “the image of the Third Reich in popular culture” and opposes “what it regards as the humiliating legacy of denazification.” Just after the magazine began publishing in 2010, workers for its distributor, Bauer Media, threatened to strike, calling it a pro-Nazi magazine. Bauer dropped the publication. Ochsenreiter also is an on-air correspondent for the conspiracy-minded television channel, Russia Today. He is close to Alexandr Dugin and supports Russian interests in the Ukraine. He recently gave an interview to Iran’s Press TV, a blatantly anti-Semitic news outlet that often gives a platform for American anti-Semites to express their views. 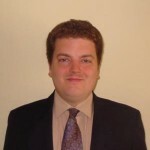 John Morgan is the American editor-in-chief of Arktos Media, a co-sponsor of the colloquium. Morgan, a supporter of extremist political parties in Europe, says the publishing outfit is named to evoke “ancient European tradition” and “northernness.” Arktos publishes a fully catalog of radical books by prominent fascists, including Dugin, as well as handbooks on the Identitaire movement’s racist and anti-Muslim ideology. Some of Arktos’ works are particularly radical. 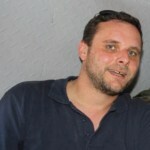 Guillaume Faye and the Battle for Europe is a compilation of postings from American neo-Nazi websites including Vanguard News Network and National Vanguard. The publishing house also sells a translated version of The Culture of Critique, written by American anti-Semite Kevin MacDonald. Arktos moved to Budapest from the India in 2014 and will be celebrating its fifth anniversary in May. Morgan has been published on the American racist website Counter-Currents and is often found speaking on the racist circuit in the United States. Since his move from India to Eastern Europe, Morgan has sought to build relationships with European radicals across the continent. While he may not yet be a known name in European far-right circles like Dugin and Ochsenreiter, Morgan is close to joining them.